Today is the day where I finally put my huge New York city guide live. It seems everyone is planning on visiting New York this year (or at some point) so it's best I get this up now, get it screenshotted, bookmarked and send it to your friends because I'm hoping this is going to be the only New York city guide you need for your trip. 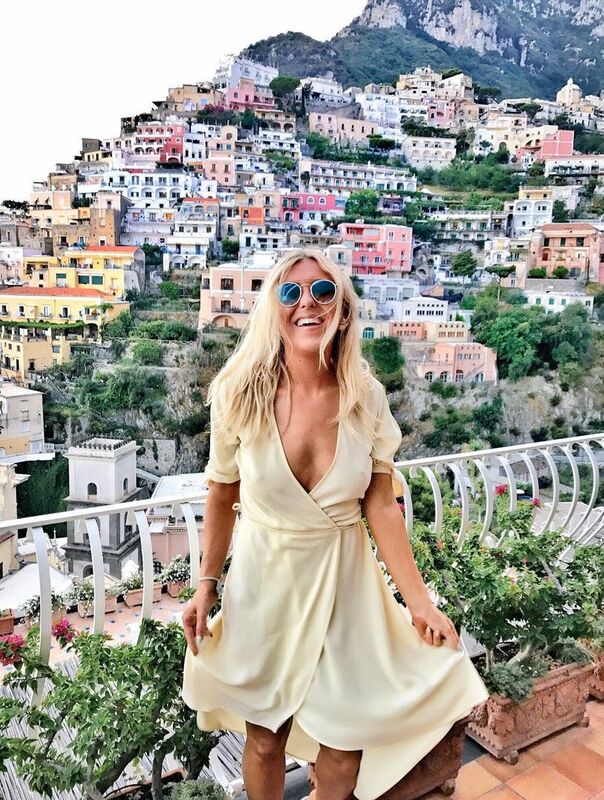 I just stepped foot off a plane from a trip from New York (I was lucky enough to visit with Simon Malls, the most incredible malls you've ever seen, I had no idea they had them all over the US either) so it seems fitting to publish this today. 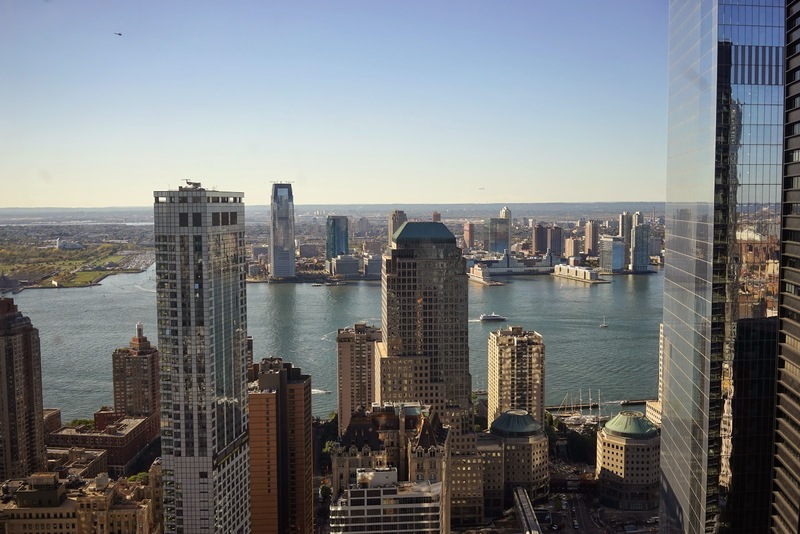 I have visited New York four times now, so I feel like now is a good time to write an updated guide, with everything you need to see, do and eat when visiting New York. I lived in Montreal for a year which is only an hours flight from New York so it really does feel like a second home to me. 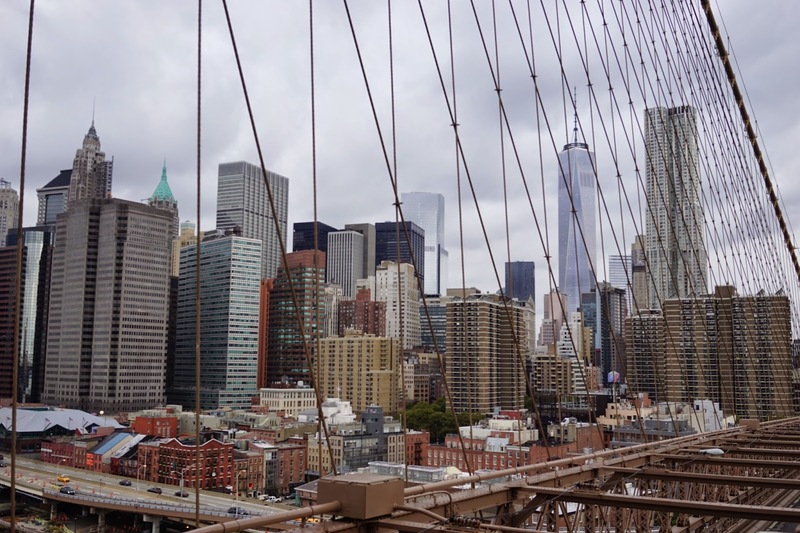 It doesn't matter if you're visiting New York for 2 days or 20, you can definitely fit a lot of stuff into your time in New York and hopefully, this comprehensive guide of the best things to see and do when you're in NYC will help you out. Every time I visit a new place I make sure I have as many recommendations as possible, so here they all are, tried and tested in one easy place to make sure you have the best time in New York. I'm so excited. Here's everything you need to know for your trip to New York (including where to get the BEST PIZZA in New York ha). Let's do this. I'd advise watching my most recent vlog below as it includes the most up to date things to do in New York/the coolest foodie places. I visited twice in 2018 so ensured I tried lots of new epic places. Getting There: First things first, getting there. I've flown into New York from Montreal, Toronto, London and Manchester. From London the flight is around 7-8 hours depending on the winds and from Montreal and Toronto, it's only around 1 hour. When I lived in Canada, you could easily drive to New York or get an 8 hour overnight bus. It's definitely worth thinking about if you are travelling from America. New York is so easily accessible nowadays, they even do flights from Leeds, direct at Christmas time! 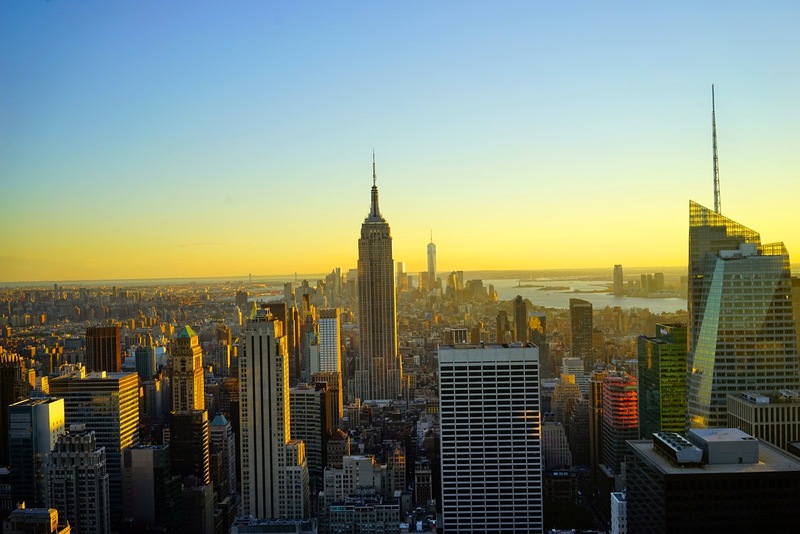 Before you visit New York: Make sure you remember to apply for your ESTA online first. Even if you're only doing a connecting flight via the US, you still need an ESTA. My first ESTA took around 10 minutes to be approved and my second one took 24 hours. Just type it in on Google and the government website comes up. 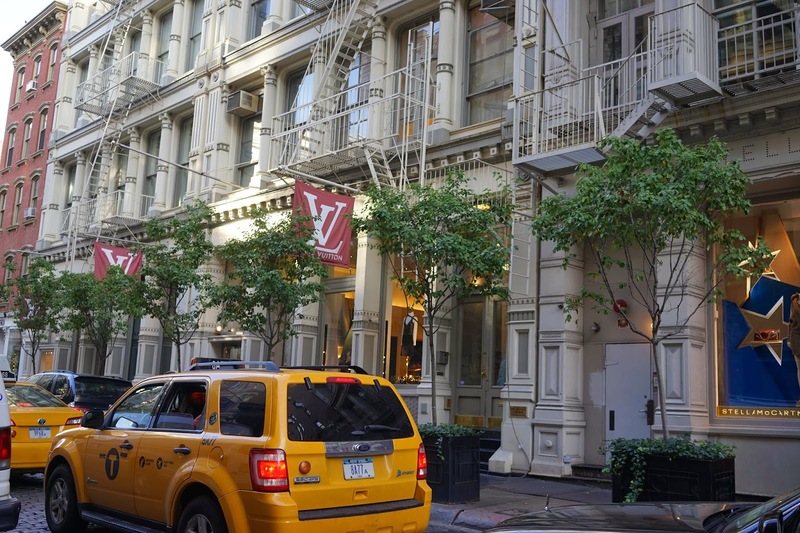 Where To Stay In NYC: I've stayed in a few different hotels in NYC. My favourite? The Edition hotel. It was absolutely incredible, so beautiful and luxurious. 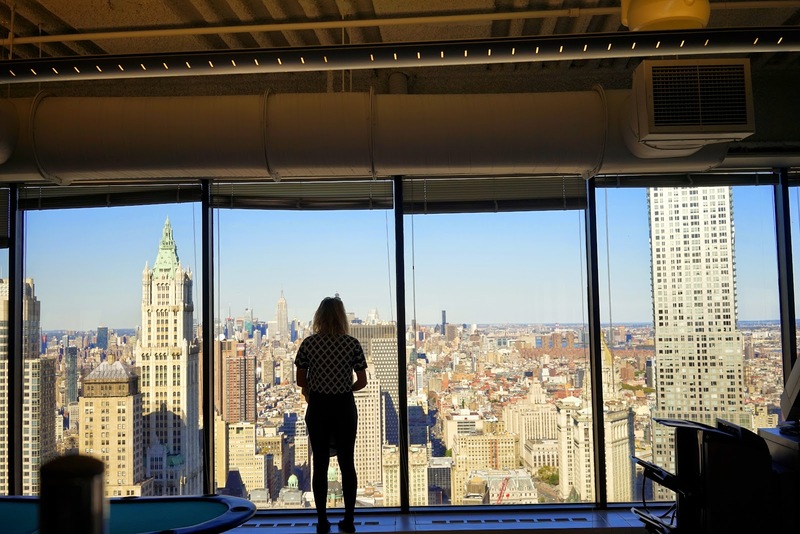 I love the Edition Hotel in London but the one in New York is even better, with beautiful views of New York. Price point wise, it is on the higher end of the scale. I've also stayed at the Marriott Residences in Times Square, another beautiful hotel with such a large room. I had the penthouse and we had our own courtyard outside overlooking New York, it was epic. The Archer hotel is another great one I'd recommend. I stayed with family and it's such a beautiful, boutique hotel and hopefully isn't as expensive as the other two I've mentioned. It's bang in the middle of everywhere. I did more recently stay in an Air BnB, apparently Air BnB is illegal in NYC now unless you stay for 30 days and you run the risk of getting kicked out. It's cool to stay in an Air BnB because you can choose to stay in the West or East Village which in my opinion ar the absolute best places for food. You can't really go wrong for hotels in New York, you wont be in the room much and they tend to be priced really well unless it's peak time (try to avoid October, the prices were 4x the price I paid in January in October). I usually stay near Times Square just because then you're so close to all the action if I'm wanting to be touristy or I will stay in West/East Village if I'm with my boyfriend as we want to do it more of 'local' way and see our favourite things and hidden gems over tourist things. The weather: I've visited in October and it was really lovely and crisp, I could wear thin black tights and a small jacket. I've also visited in January which was freezing, I'd say wear thermals even if you are shopping and definitely gloves, you get serious wind chill and it can be around -5. In Decmber I was so cold I needed two sets of thermals on. In Spring time and Summer it's obviously beautiful. January was a good time to visit because it was so dead, barely anyone was there because it was after Christmas and it was cold, just make sure you layer up. 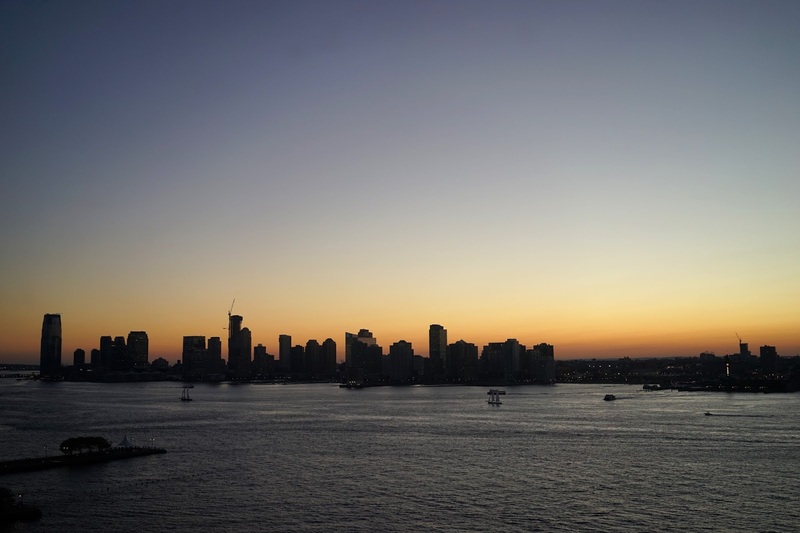 The Best Way To Get Around New York: A lot of people ask me hows best to get from the airport to the centre, you can fly into either Newark or JFK airport and I always think it's way cheaper and more convenient to just get an Uber from the station. You can always grab a yellow taxi outside for a real NYC experience but I find Uber is much cheaper, or just pre-book before you travel. *UPDATE: NYC cabs now have a set fare, it was around $60 set to get from the airport to the centre which was cheaper than Uber. You can get the subway system around NYC (like the tube) and I find it really easy. The subway does get just as busy and pushy as it does in London so I prefer to walk where I can or just take Ubers around the city. I tend to Google map all the addresses I want to go to the most and then put them on a list with how far they are from each other, that way, you can walk between most places and jump in a cab to the further away places. On our latest trip, we walked EVERYWHERE. Tipping: I got used to tipping in Canada, they get really offended if you don't tip because it's their wage. I found it so difficult at first because it really does put the prices up. You should tip 18% in any restaurant and the waitresses can be quite rude and upfront if you don't. It's just their culture. In bars generally I tip $1 per drink or if I'm going to be there all night (in a club for example) I'd tip $10 with my first drink then get served by that person for the rest of the night. Areas in New York: Now the boring stuff is out of the way, let's talk about my favourite areas of New York and the places I'd go see. 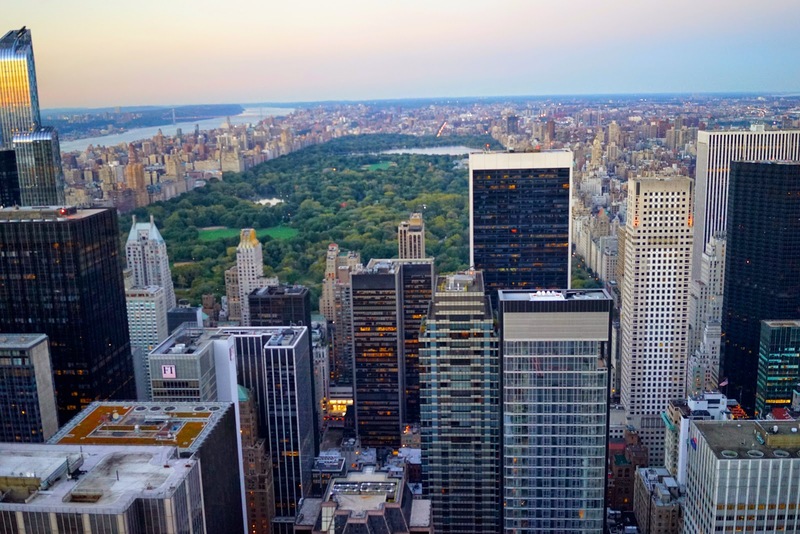 Times Square is the obvious option and where you'd start, but make sure you head out to some of the wonderful areas below. Some of these images are from previous trips and some are from my current one. TIMES SQUARE - Times Square is obviously worth a see, it's where it all happens! Full of shops (Sephoras and Starbucks everywhere!) It's vibrant in the day and the night, so worth seeing it both! You can also grab great show tickets here at discounted price on the week you go. This is the 'midtown' area of New York and it's so easy to walk up from Times Square and reach 5th Avenue, aka the holy grail of shopping! When you're at Times Square, I'd recommend walking up and across the Av Americas, you can visit Magnolia Bakery, see Radio city, the Rockefeller and Fox news all along the way and then 5th Avenue for shopping is bang in the middle. If you walk a little further down Av Americas you reach my favourite, Milk Bar. More about that below on my food section! CENTRAL PARK - Central park is basically right at the end of 5th avenue and gosh it's beautiful. I'd highly recommend walking around it when it's a little warmer. I rented a bike from a nearby shop (fell off it and nearly broke my knees!) and cycled all the way around it. This is such a good idea because you can stop off around New York as you cycle round. Multiple coffee stops? Yes please. You could spend a whole day doing this, it's seriously stunning and worth doing. SOHO - Hop on a tube and make sure you visit Soho. One of my favourite little areas of New York, with the coolest shops, cafes and bars. You'll feel like you're in Friends when you see the amazing houses with large fire escapes. I love it for the huge Louis Vuitton, it's definitely shoppers paradise. I need to stay here next time I go to NYC as I spend most of my time in this area, all the best eateries are here! From here you can walk to so many gorgeous little places too. 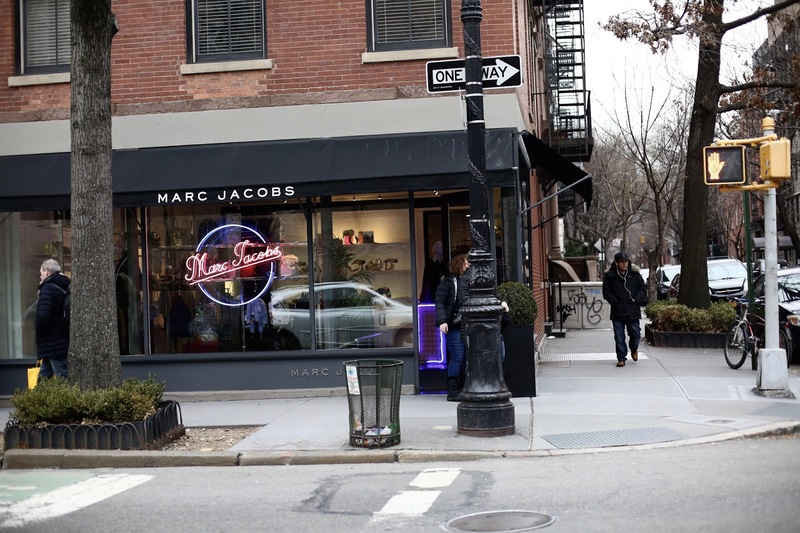 GREENWICH VILLAGE - Make sure you head to Bleecker Street, my favourite street for amazing shops,cafes and restaurants. This is possibly my favourite street in NYC. WEST VILLAGE - I adore West Village. It's the cutest little area and you must visit it! I'd say this is the fancier version of East Village with gorgeous houses and a lot of celeb spotting at the gorgeous eateries! There's a lot of wealth here but I've never seen it very busy, it's such a chilled area but perfect for brunch. EAST VILLAGE - I met with my friend in East Village, a really cool area but I'd say it's a little more edgy. It's the BEST for hidden gems with food. Pretty much every restaurant I read about is always in East Village! WILLAMSBURG - Essentially the centre of Brooklyn and well worth a little trip. It's full of gorgeous rooftop bars, flea markets and I'd say it's a little 'hipster'. BROOKLYN BRIDGE - Brooklyn Bridge is truly stunning and I'd highly recommend heading over to it! Read my blog post about visiting Brooklyn Bridge. THE HIGH LINE - In Spring/Summer the highline is amazing. You can hop onto it in various spots across the city and it's basically a long line of scenic grass which spans over the whole of New York. You could walk along it for hours or just jump on it somewhere. We got on at the start and walked all the way over to Chelsea Market. 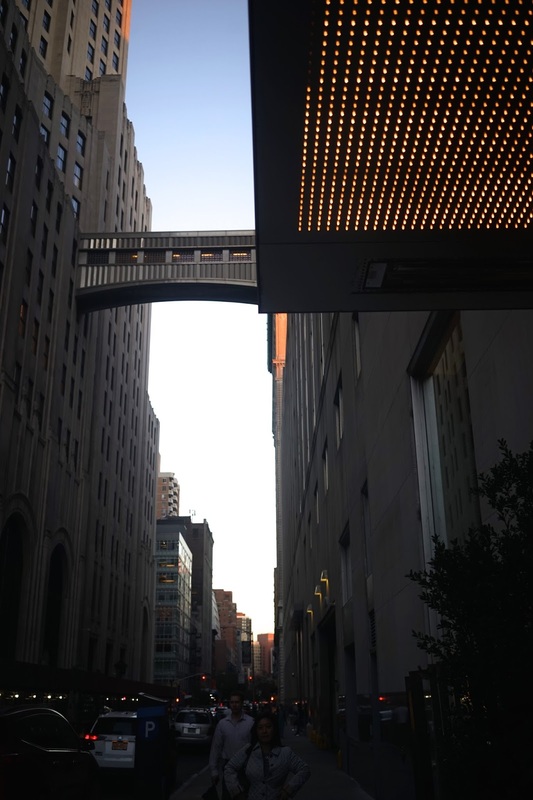 Read my old blog post about the high line. 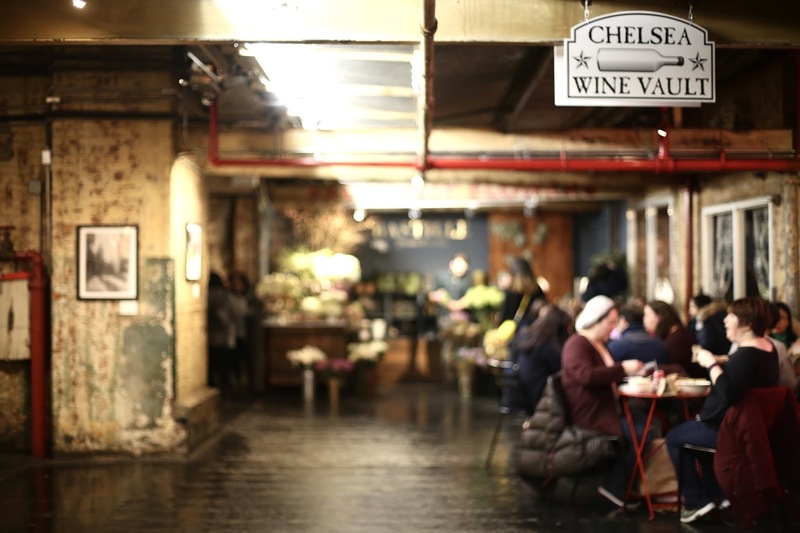 CHELSEA MARKET - Chelsea Market is amazing, full of incredible foodie places so make sure you go with an empty stomach! The little stalls are great for quirky gifts too. 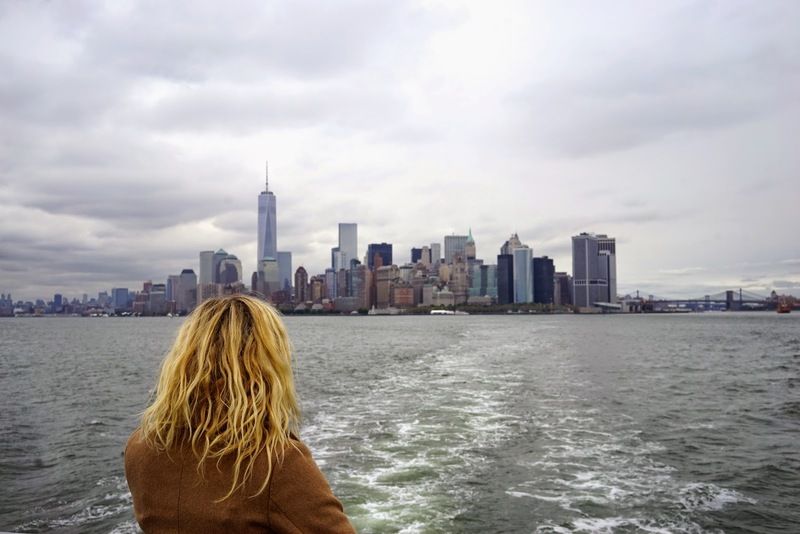 STATEN ISLAND FERRY - The Staten Island ferry is amazing if you're looking for epic views of the city, imagine standing next to the Statue Of Liberty and also getting to ride on a boat past the whole of the Manhattan skyline? A must do if you have the time to hop on! 2. Head up the Rockefeller building for an hour. 4. Jump in a cab over to Bleecker street. First stop? Jacks Wife Freda (20 minute cab from Milk Bar -> Jacks Wife Freda). 7. 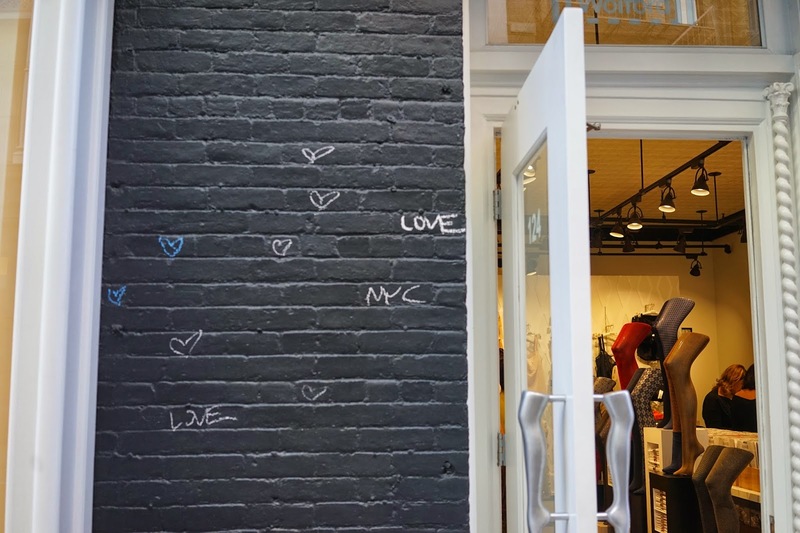 Stroll over to Chelsea Market (20 minute walk from Bleecker). 8. Pop up onto the High Line whilst at Chelsea Market. 9. 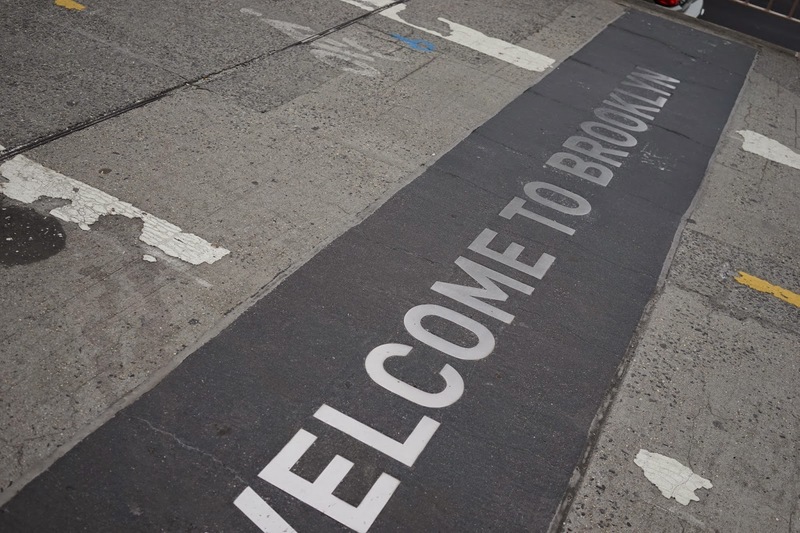 Head over to Brooklyn Bridge (20 min taxi from Chelsea market). 10. 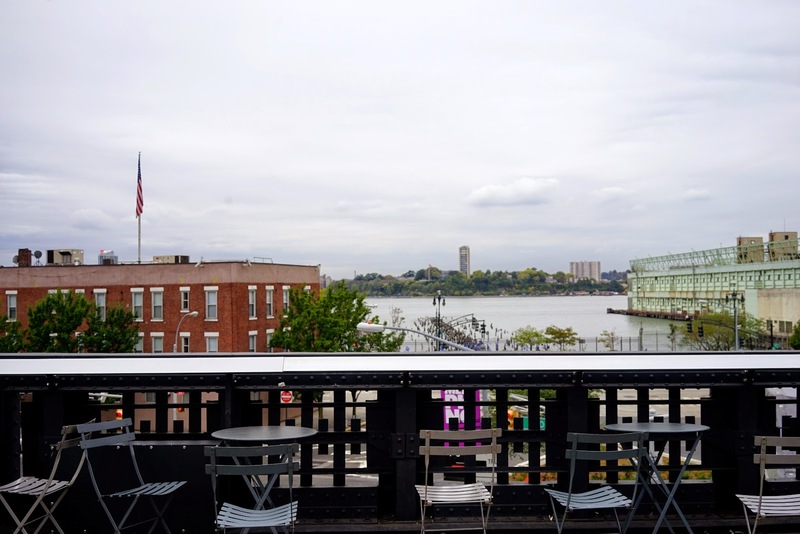 Finish with a slice of pizza at the end of Brooklyn Bridge and looking at the amazing views of NYC from the waterfront or head into Brooklyn! 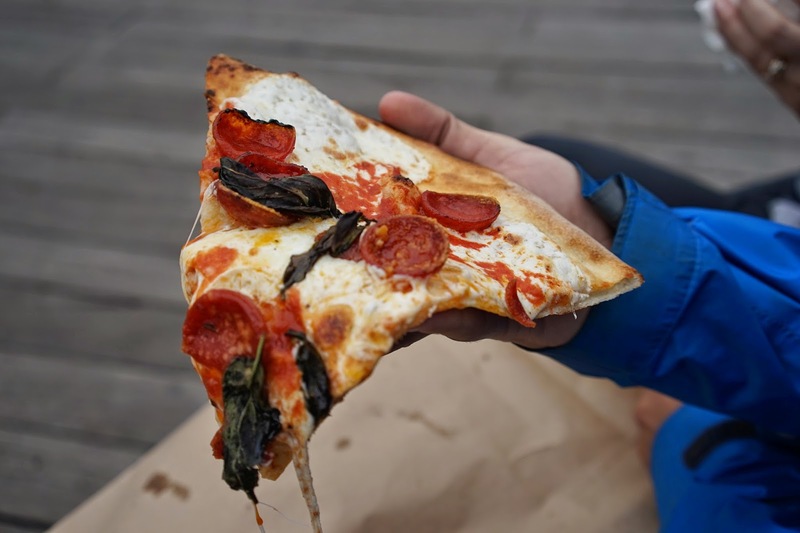 Read my blog post with where to get the BEST pizza in NYC. 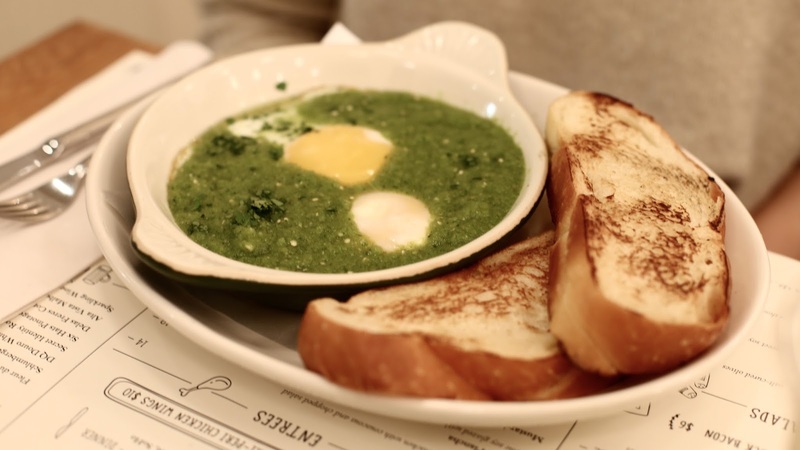 Where To Eat In New York: Now, for some of my favourite places to eat in New York. Jacks Wife Freda - Jacks Wife Freda is an absolute must visit for breakfast and brunch. Imagine the most Unstagrammable brunch you've ever seen. I order the fresh watermelon juice, a matcha latte and all the eggs! The waffles are amazing too. I've also been here for lunch and it's seriously amazing. It's always rammed full of locals. By Chloe - Similar to Jacks Wife Freda but not half as beautiful inside. Another really busy one and more of a little deli than a sit down brunch place, but it's still really good and full of lots of healthy deliciousness. They now have a small treat shop nearby too offering cakes. It's all vegan friendly. The Butchers Daughter - I'm so glad we managed to get seated here. The Butchers Daughter is the most delicious breakfast/brunch/lunch place. It's so vibrant and beautiful inside but the food is exceptional. My boyfriend and I both eat meat but I love vegan food so this was a dream come true. Even my boyfriend who is a big meat eater loved this place. The service was great too. Try the vegan mac and cheese! 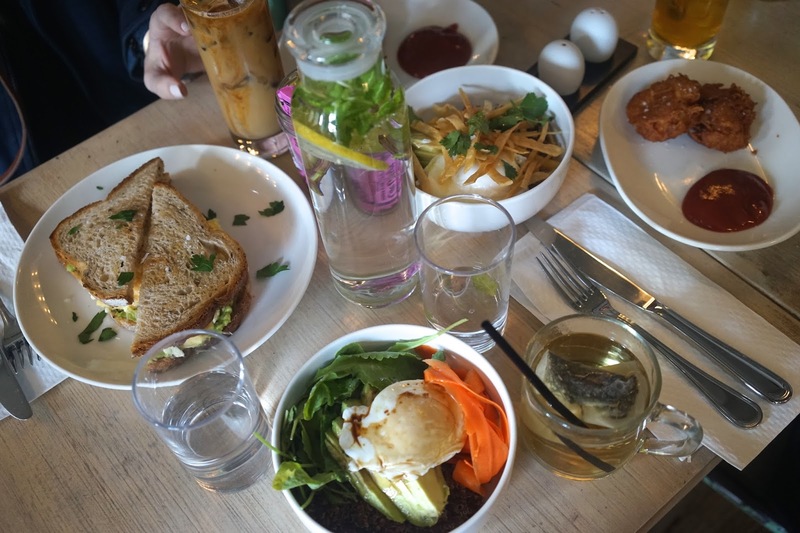 Bluestone Lane - Aussie brunch! 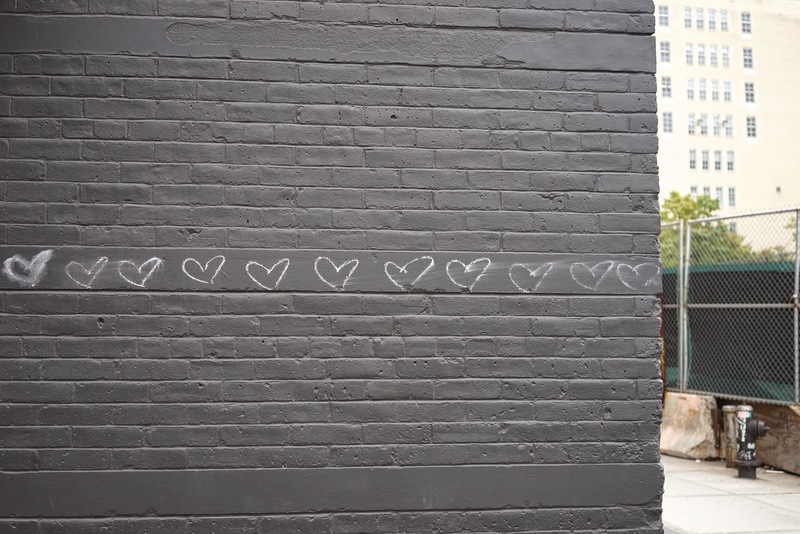 A few dotted around NYC. We headed to the one just next to Brooklyn Bridge and warmed up with some banana on toast and matcha lattes. A gorgeous insta worthy spot. EGG SHOP - You've never seen so many eggs in your entire life as you have here, but it's good! Such a lovely place if you fancy something seriously quirky. 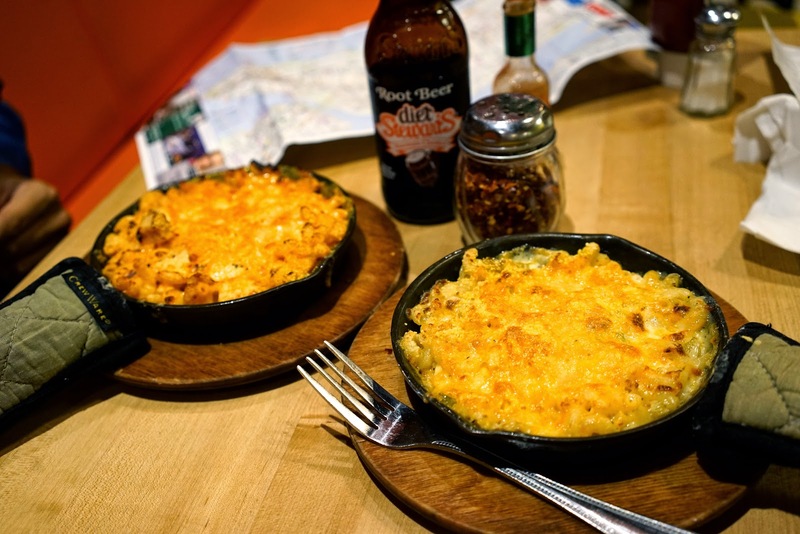 S'MAC - I hunted down the best mac and cheese in New York and apparently this is it, it seriously was amazing! 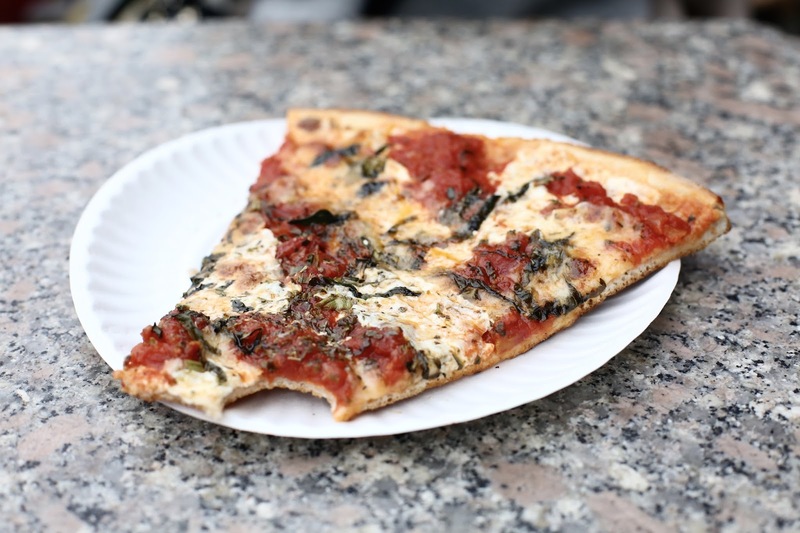 Bleecker Street Pizza - I stumbled upon this old school pizza shop on Bleeker street and it's one of the best slices I've ever had. Joe's Pizza - VERY close is Joe's pizza, actually a better slice than Bleecker street! I was told to visit here by someone who was born in New York and she said it is 100% the best pizza slice you can grab. Grimaldi's Pizza - Everyone raves about this place. I personally didn't think it was the best (my pizza was burnt) but if everyone loves it, maybe I just caught them on an off day. Once you get to the end of Brooklyn Bridge, you'll see this at the bottom. Rubirosa Pizza - BY FAR the best sit down pizza I've ever had, photographed above. It was too dark to get good photos so please excuse the bad quality iphone shot but I needed to show you. We queued for a long time so try make a reservation or go at a weird time, this is on Mulberry street, easily the best area for Italian food. We had the BIGGEST pizza you have ever seen, trust me, you cannot go to New York and miss Rubirosa. 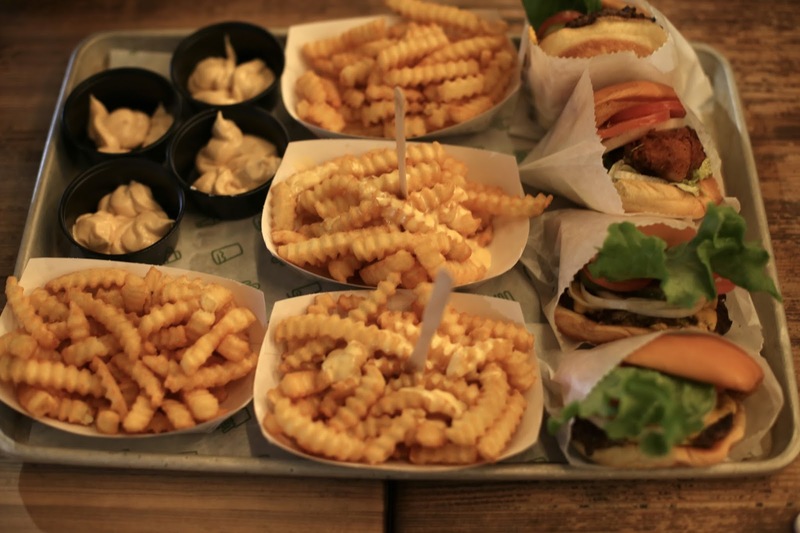 Shake Shack - I know they have them in the UK now, but the first thing I did on my first ever trip to NYC was jump into the Shake Shack in Grand Central station. Nothing beats it. The Standard - This is on the High Line and is one of the most memorable dinners I've had. They serve you cocktails in beautiful copper mason jars and the grill is just amazing. I went for all the steak! Again, it's expensive but delicious. 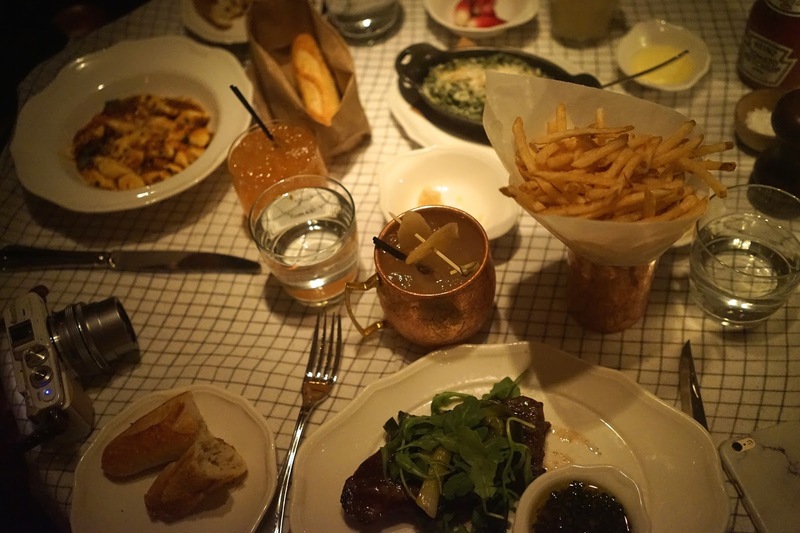 I blogged about dinner at the Standard if you'd like to read more! Mercer Kitchen - For dinner, Mercer Kitchen is beautiful. It's a gorgeous, kind of underground dark restaurant in Soho. It's definitely high end but the cocktails and food are just delicious. I'd highly recommend checking this out for a fancy dinner. Tommy Bahamas - We accidentally stumbled upon this on 5th av when desperate for some food and headed in for dinner. A gorgeous venue, above a shop and super laid back but delicious for fish. It's one of the best meals I've had! TAO - TAO is an amazing Asian restaurant. Watch out for the huge Buddha in the middle, it's seriously great for yummy food. It's hard to get a reservation but this is like a luxury club turned into restaurant and it's got such good vibes. I refuse to go to America and not eat at TAO. EATLY - They have a few Eatly's around NYC now and trust me when I say: HEAVEN. I could have eaten here every single day. Pop inside them (we ate at the one near Flat Iron and the one near Wall Street) and sit down at one of the gorgeous restaurants inside. We nibbled on cheese, wine and meat boards and had the nicest evening, ever. Yama Ramen - For lunch or dinner if you like sushi and ramen. This place is crazy busy and absolutely rammed, it's all about the food and isn't pretty inside but oh my goodness you need to go if you like asian food. It's full of busy locals grabbing their lunch! Izakaya Mew - This is ranked as one of the best places for asian food. An incredible under-ground asian style tapas restaurant. We had SO much sushi, so much asian food and it was basically the dream tapas situation. Benemon - We found this quirky little Japanese in the East Village and it's BY FAR one of the best meals I've ever had in my whole life. Affordable, romantic. 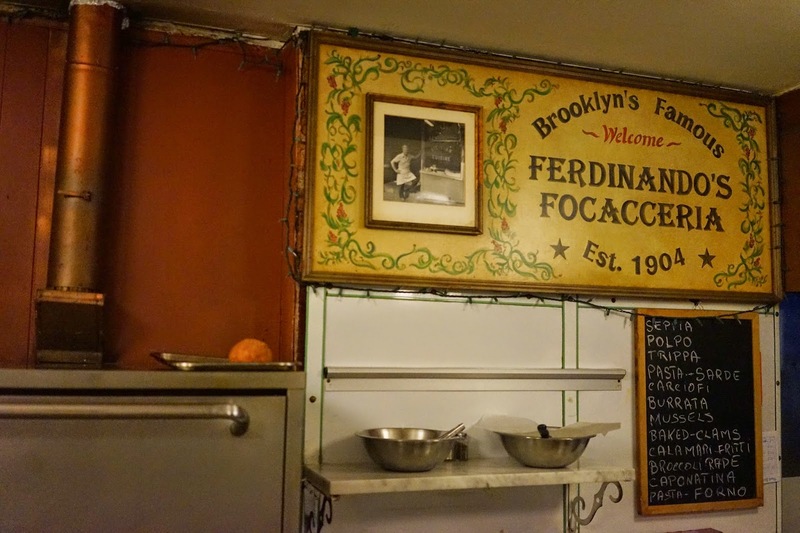 Ferdinando's Focaccia - I did a food tour when I was in NYC last time (would highly recommend doing it, expensive but worth it) and we were taken round all the hidden gems of New York. We spent a lot of time on the outskirts (Brooklyn and Queens) and if you're out that way, this place is so great. It's a tiny, family run Italian and they've filmed so many movies in there. Well worth a try. 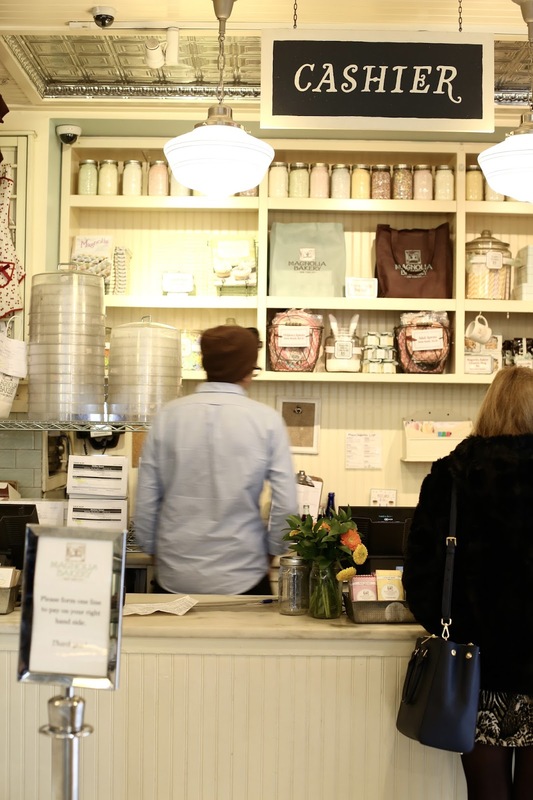 I loved discovering hidden gems on the food tour. Read about the New York food tour I did a few years back. I still can't get over how amazing it was. 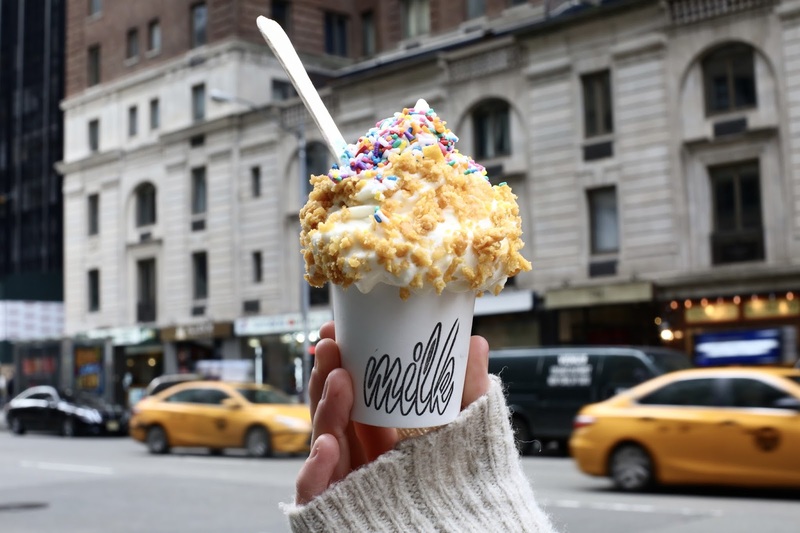 Momofuku Milk Bar - We couldn't not grab one of these incredible twisted ice creams, even on a cold day! It's well worth the 15 minute walk up from Times Square. Taiyaki NYC - A really cool ice cream bar where the ice creams come in cones shaped like little fish. The soft ice cream inside is delicious too. CHIP NYC - You HAVE to go to CHIP in NYC for the best cookies I have ever tasted. We accidentally stumbled upon them when we walked out of Chelsea Market (they're next door in a market), please, go and eat them all. BLACK TAP - This is actually a really cool place, we had the best chips and nachos here plus the biggest milk shake you have EVER SEEN. Sadly the restaurant is really dark but if you want a milkshake with a whole piece of cake on top, the best fries and a truly American meal, you need to go here! Magnolia Bakery - You can't leave NYC without trying a cupcake from Magnolia, they are incredible. If sweet stuff is for you, make sure you grab a Cinnabon too, my absolute favourite American gooey ball of goodness - you'll see stores dotted around but they have loads of them in Simon Malls too. When looking for the best restaurants, I always head to TripAdvisor and key in: best near to me and then do it by ranking. It's my fool proof method. YELP is also really good and OPEN TABLE when you're in NYC and looking for really good eateries. No-one wants to waste their money on bad food when you're in a city with such amazing restaurants! You'll find shops at all the above areas mentioned, from Times Square to Bleeker but Soho is by far my favourite area of NYC to shop in, head for Greene Street and make sure you also head to the Glossier showroom and Opening Ceremony store around there too, they're great places to pop into Google Maps and then explore from there. There's also a huge street called Broadway which spans across so much of NYC full of the best shops. If you're looking for huge malls with everything you could possibly need under one roof, you must check out Simon Malls. I have a full blog post coming up about these New York shopping malls soon but for now, here's a little bit about them. I genuinely had no idea how great these premium malls are, or that Simon owns the best malls around America! 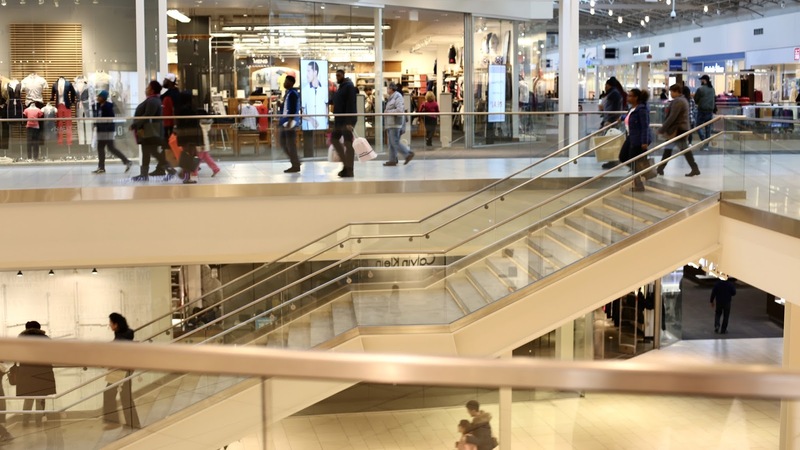 Roosevelt Field Mall - If you happen to be near Long Island or have quite a bit of time in NYC and want to explore that area, it's well worth heading to Roosevelt Field Mall. 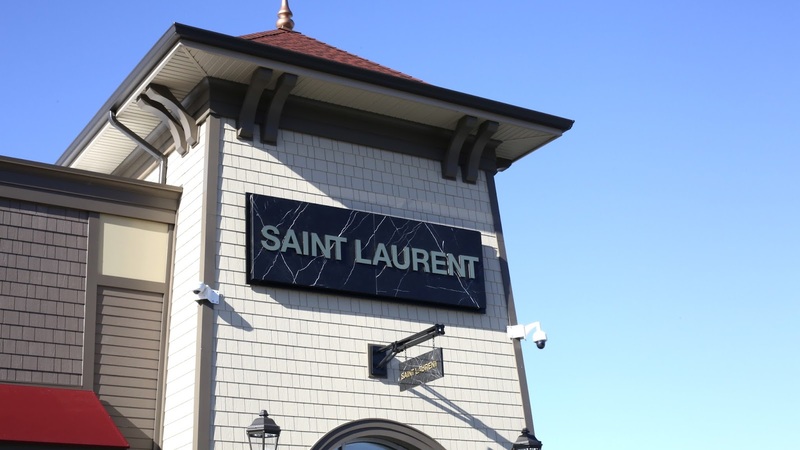 It's worth heading to Long Island as it's super close to the Hamptons and apparently Long Island has a gorgeous beach (which I must explore next time) and this shopping centre is super close to it. This is kind of like a nice Westfield but has premium stores like Neimann Marcus inside. It's such a stunning mall and great to get a little out of the city. Woodbury Common Premium Outlet - My absolute favourite US mall and definitely worth visiting if you have extra time in the city. You can hop on a 40 minute bus here and it's so easy. People will sell you tickets for this in Times Square and if designer buys are your thing, you should probably head here. I bought a YSL bag with $300 off and lots of other little bits. With stores like Tom Ford, Celine and Gucci, you can't go wrong. Apparently all the serious shoppers head on this day trip! They even have a Magnolia Bakery and Cinnabon! The Mills At Jersey Garden - If you happen to be flying out from Newark airport and have some time to kill, definitely check out the Mills at Jersey. It's just a quick ten minute taxi or shuttle ride to the airport and good if you need some affordable last minute American gifts or items. The Victoria's Secret mall is absolutely amazing and I picked up some epic Coach sales in here too, it's tax free meaning you get some serious bargains. Rockefeller - People love the Rockefeller to go up as the views you get are amazing and you can see the Empire state too. I personally booked my ticket online and then went up at around dusk, that way I got to see it in day light, to the sunset to night. The Empire State Building - Another great view but I know a lot of people prefer the rock. It's totally up to you. Museums - All the museums in NYC have lots to offer. I visited the Whitney Museum of American Art and loved it. You can check online because a lot of them do free entries on certain days of the week if museums are your thing. 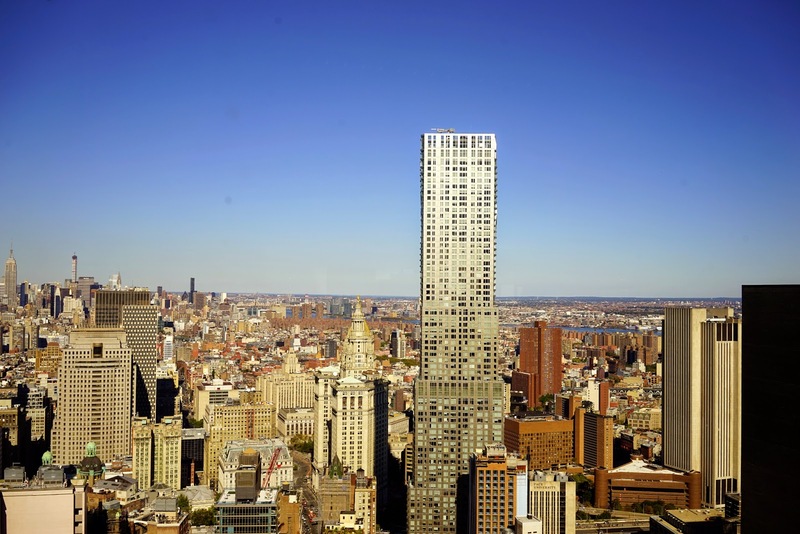 Alternatively, make friends with a local who works on Wall Street like I did, and head to his empty office on the 200th floor on a calm Saturday afternoon... pretty epic huh? I really hope this helped! 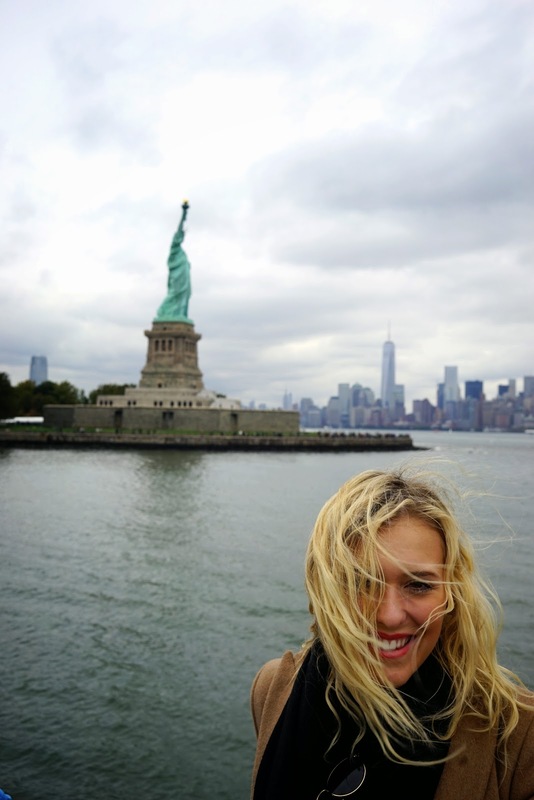 My blog posts below are old but still relevant so make sure you check them out for more about visiting New York! If in doubt, wander around. On our latest trip we deliberately booked to stay longer so we could explore more. It meant we could walk from each place and just enjoy every quirky street New York has to offer. We were doing 30,000 steps per day on some days. I really do think the best way to get a feel for NYC is to Google map it and enjoy by foot. WATCH MY UPDATED NEW YORK VLOG - I would also love it if you could subscribe to me on YouTube here! Have you ever visited NYC? Would you like to? What are your favourite things to do?